A recent report by Cognizant takes a look at how leaders and companies in the Asia-Pacific view automation, intelligent machines, and AI. Pitching machines and automation as a ‘job killer’ is a passé. As we step into the future of work, the focus has shifted on ensuring that intelligent works and systems work alongside humans and not replace them. 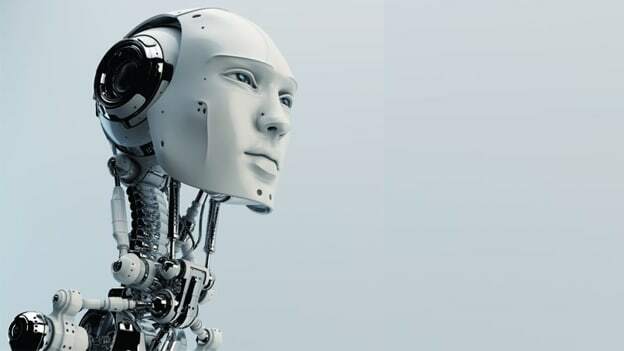 A recent report by Cognizant builds on this narrative and takes a closer look at how leaders and companies in the Asia-Pacific view automation, intelligent machines, and AI. The report, titled, ‘Humans + Intelligent Machines: Mastering the Future of Work in Asia Pacific’ defines an intelligent machine to be a system that combines any software that mimics human actions and/or learns hardware, and data. Insights and opinions of 622 senior executives from China, India, Australia, Singapore, Japan, Malaysia, and Hong Kong were collected between May and July 2018 while preparing the report. The results showed that while leaders in the region are largely optimistic and in the process of preparing themselves for the future of the work, a lot needs to be done. • 82% of the survey respondents named intelligent machines at the largest influencer on the future of work in the next five years. Organizations say that 70% of their employees will be ready to work with machines at the same time. • While leaders naturally expect intelligent machines to increase revenue and bring down costs, they also expect an increase of nearly 20% in the productivity of their workforce due to machines. • 63% of the respondents expect intelligent machines to fundamentally change business and operation models. • On an average, 13.5% of a company’s revenue will be diverted to building and managing intelligent machines over the next five years. • Just about one in three (35%) of the companies surveyed felt that they were ‘fully prepared’ to handle working alongside intelligent machines, whereas only 42% were confident on a seamless integration of AI with existing business processes. The top three challenges facing companies today are the misalignment of workforce strategy with business goals (72%), lack of IT infrastructure readiness (71%), and a shortage of required talent and knowledge (70%). 56% of the companies admitted that they face a challenge to deliver consistent employee experiences because there are no integrations between different technologies and platforms. The report also provides a framework to get started on this journey by suggesting the alignment of tasks, teams, talent, technology, and trust. More importantly, the report provides a rare glimpse into the minds of leaders in APAC. The fact that most of them are aware of the challenges that exist and are working towards being future-ready is an encouraging sign. The transition to the future of work will be a tumultuous ride, but being aware of what lies ahead and preparing adequately is bound to make it smoother.